Huh submitted by Richard M. - Jun 22, 2017 |Recommended: YesNice, well maintained. Relatively quiet except for my loud profane neighbors upstairs need to screen a little better , maintenance is outstanding, snow removal is impressive, rent is reasonable, hides its age better than Cindy Crawford, good location. Decent Place to Livesubmitted by Michele M. - May 30, 2017 |Recommended: YesWe live in a 2-with-a-den apartment on the top floor. Layout of the rooms is fine, and the bathrooms are a good size, though the placement of the cable outlets are ridiculous and borderline dysfunctional. The apartment has a lot of natural light which swung us from another facility. Many of the fixtures are older and the maintenance staff use stop-gap measures to make usable, though rarely fix. All of the staff have been very friendly and helpful, and increase the overall experience. The price is reasonable for the area. The neighbors are respectful and keep to themselves. Great Apartment submitted by Djessi T. - Mar 20, 2017 |Recommended: YesGreat Apartment. I have lived here for almost a year and have not come across any problems so far. Everyone seems to be fair, friendly professional. submitted by Janelle B. - Jan 09, 2017 |Recommended: YesI like it. Very comfortable atmosphere. Nothing that shouldn't be expected in apartment living. Great Community, Awesome Peoplesubmitted by Tina S. - Jan 09, 2017 |Recommended: YesIt has been an awesome experience. The staff is professional and always helpful and considerate of others needs. Anything needs repair they get to it quickly and everything gets resolved in a timely manner. The pool, gym and all convenience to supermarket etc is a blessing. Happy Homesubmitted by Quintonio S. - Jan 03, 2017 |Recommended: YesThis has been an awesome community for me and my family The office staff maintenance are always prompt and professional. Bldg 112submitted by Carl M. - Dec 12, 2016 |Recommended: YesA very clean community that is reasonably quiet for apartment living and convenient to shopping. I felt safe living there. Love living here.submitted by Cassandra H. - Dec 01, 2016 |Recommended: YesMaintenence always responds in time. The staff is friendly and welcoming. The community is friendly. I've experienced no real problems while living here for the last year. Staff great, neighbors inconsideratesubmitted by Annette H. - Nov 30, 2016 |Recommended: YesThe positives of living here include availability of parking spaces, maintenance issues solved quickly, and friendly staff. The biggest negative is the noise level above us. I think the property is nice, however, the apartment complex residents next to us should stay on their own propertysubmitted by Linda G. - Oct 03, 2016 |Recommended: YesIt's a nice apartment the fitness center is adequate and hopefully next Summer we can use the pool. The filter was broken most of the Summer last year. Quiet living at the edge of the woods.submitted by Teresa A. - Sep 30, 2016 |Recommended: YesAquia Terrace is a family oriented establishment. The staff is very friendly and helpful. Their maintenance is prompt and courteous. They are very accommodating to their tenants needs and try to fulfill them if they can. 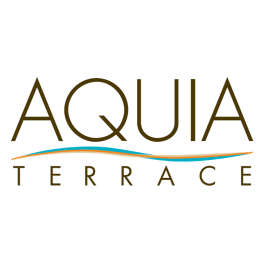 I have recommended Aquia Terrace to newcomers that are being stationed to Quantico and those looking to venture out on their own. I am glad that we live here. Nice Communitysubmitted by Sam S. - Aug 02, 2016 |Recommended: YesI lived here for two years, and everything was to my liking. Professionally outstanding service by the maintenance and office staff must be the greatest pride of this complex. I also enjoyed the gym and walking around the neat and quiet community all the time. Now I will miss all these.